The T60 is designed for various power applications, including autotransformers, generator step-up transformers, split-phase, angle regulating transformers and reactors. It uses multiple current and voltage inputs to provide primary protection and backup protection of transformers, including differential, ground differential, five distance zones, phase, neutral, and ground overcurrent, under and overvoltage, under and overfrequency, over-fluxing, and breaker failure. The T60 transformer protection system is a comprehensive three-phase transformer relay designed to protect medium and large power transformers. The T60 provides automatic or user-definable magnitude reference winding selections for CT ratio matching, and performs automatic phase shift compensation for all types of transformer winding connections. The T60 algorithm allows the user to enable removal of the zero-sequence current even for delta-connected transformer windings, facilitating transformers with a variety of grounding configurations. As part of the Universal Relay (UR) Family, the T60 provides superior protection and control. The T60 includes high accuracy metering and recording for all AC signals. Voltage, current, and power metering are built into the relay as a standard feature. Current and voltage parameters are available as total RMS magnitude, and as fundamental frequency magnitude and angle. For power quality applcations, harmonic measurements (up to the 25th) for voltage and current are available. T60 can monitor, calculate and log hottest-spot temperature, aging factor and loss-of-life data over a long period. This data, combined with economic analysis, allows criteria to be developed regarding the best time at which to replace a power transformer due to load growth, i.e. to minimize the cost without significantly increasing the risk. The B30 is the single point for protection, control, metering, and monitoring in one integrated device that can easily be connected directly into DCS or SCADA monitoring and control systems like Viewpoint Monitoring. The T60 incorporates advanced automation features including powerful FlexLogic™ programmable logic, communication, and SCADA capabilities that far surpass what is found in the average transformer relay. The T60 integrates seamlessly with other UR relays for complete system protection. 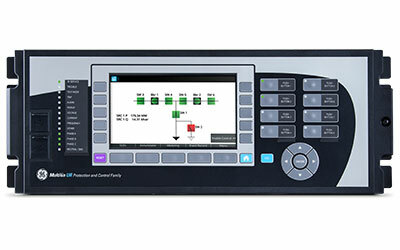 FlexLogic™ allows for the customization of the T60 to operate and control the breakers and other auxiliary devices needed to fit most generator protection schemes and applications. The T60 provides advanced communications technologies for remote data and engineering access, making it the most advanced and flexible transformer protection relay to use and integrate into new and existing infrastructures. Direct support for fiber optic Ethernet provides high-bandwidth communications allowing for low-latency controls and high-speed file transfers of relay fault and event record information. The available three independent and redundant Ethernet options provide the means to create fault tolerant communication architectures in an easy, cost-effective manner. The T60 supports the most popular industry standard protocols enabling easy, direct integration into DCS and SCADA systems. 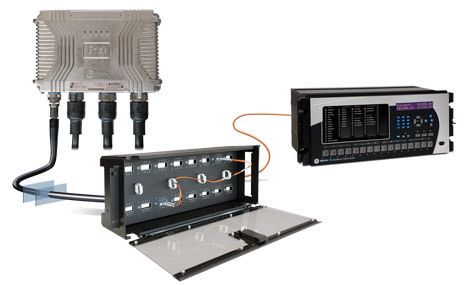 In addition to providing high-speed connectivity directly to your Universal Relay, the UR Switch Module provides an additional 4 fiber Ethernet ports, for connection to other relays in the system as well as upstream connectivity. It also provides 2 RJ45 copper Ethernet ports which can be used to connect local devices such as PCs, meters, or virtually anything else in the system. 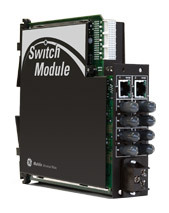 The UR Switch Module provides a simple way to add fully-managed Ethernet networking to your relays and devices without the need for additional hardware or a dedicated communications cabinet. The UR Switch Module includes all of the management and features that come with all MultiLink managed switches, and can be easily integrated into a network that has other Ethernet switches. Use the T60 with integrated IEC 61850 to lower costs associated with generator protection, control and automation. 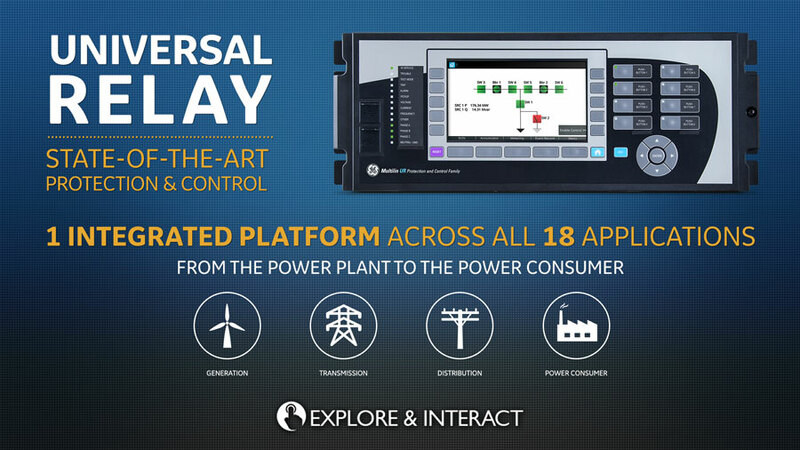 GE’s leadership in IEC 61850 comes from thousands of installed devices and follows on years of development experience with UCA 2.0. Supporting up to 20 alpha- numeric or special characters, UR passwords exceed NERC CIP requirements for password complexity. Individual passwords per role are available. Enables integration with centrally managed authentication and accounting of all user activities and uses modern industry best practices and standards that meet and exceed NERC CIP requirements for authentication and password management. Efficiently administrate users and roles within UR devices. The new and advanced access functions allow users to configure up to five roles for up to eight configurable users with independent passwords. The standard “Remote Authentication Dial In User Service” (Radius) is used for authentication. Capture all cyber security related events within a SOE element (login, logout, invalid password attempts, remote/local access, user in session, settings change, FW update, etc), and then serve and classify data by security level using standard Syslog data format. This enables UR devices integration with established SEM (Security Event Management) systems.